“Several people were killed and injured in the gunfire in El Junquito, outside Caracas, as the army closed in on the group,’’ the Venezuelan government said in a statement. Meanwhile Oscar Perez, a fugitive who has been sought by police for over six months, appeared bloody and armed in a number of social media videos. It is unclear whether Perez, whom the government has labelled as a terrorist and considers an enemy of the state, was among the no fewer than five people arrested. Perez has been on the run since he allegedly hijacked a police helicopter and threw grenades at the Supreme Court at the end of June, in what President Nicolas Maduro called a coup attempt. However, no one was injured in the attack. Perez, 36, was formerly a member of the CICPC, Venezuela’s national police agency, and sees himself as the leader of a movement to free the crisis-ridden country from socialism. 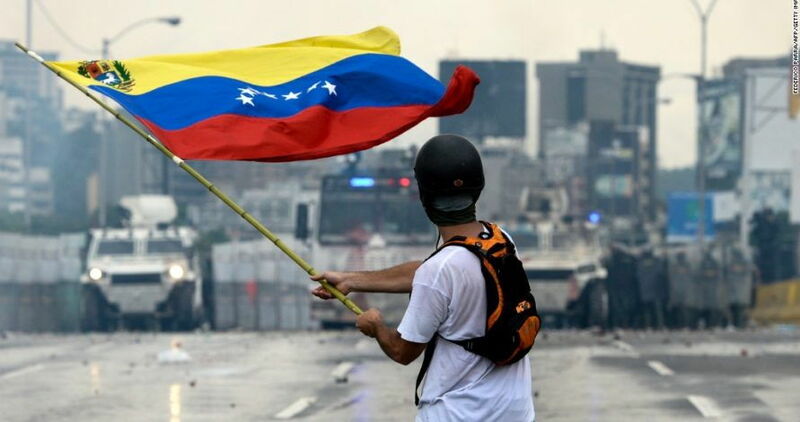 Venezuela is on the brink of collapse after years of economic mismanagement and sinking oil revenues, in spite of having the largest oil reserves in the world.